I just wanted to post a quick hello out there to everyone! I have been away from my blog for the better part of two weeks now, since we have been in South Carolina visiting family over the holidays. I prescheduled my posts, but I feel bad that I haven’t been able to respond to any of the awesome comments so many of you left here. I promise to get back to everyone as soon as I can. We had hoped to be home Thursday morning, but were grounded by the weather in the North (for 3 more days!). Not complaining- it was much warmer where we were.I am very thankful we were able to get home before this next batch of freezing weather that is defending on us tonight! If you are affected by this deep freeze-Please stay warm!! 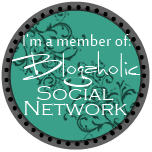 Looking forward to reading all your posts that I missed and get back into the blogging groove! Where were you in South Carolina? If you’re anywhere close to Charleston next time, please let me know. Glad you made it safely home. Stay warm. We were very close to Charleston- my in-laws live on Kiawah! We went to Charleston a few times- kids loved walking on the battery. We tried to see the Angel Oak, but didn’t realize it was going to be closed on new Year’s Day. I love Charleston- I think it is one of the nicest cities in the country. Thanks! You to. I am trying hard to get back into a groove, but it is proving difficult!